Inspire your customers with a modern, customised bathroom. The interplay between precise contours and organic shapes creates a dynamic design for any modern bathroom, which can be elegantly combined with a wide range of ceramics. Create a consistent look for your project at an attractive price: Novus includes products for wash basins, showers, bath tubs and bidets. The Croma Select and Crometta shower range perfectly complement Novus. Here you will find a comprehensive range that offers complete creative freedom: choose between single lever mixers in four different ComfortZone heights, from 70 to 240 mm. In addition, 3-hole basin mixers and single lever mixers are available for wall mounting. 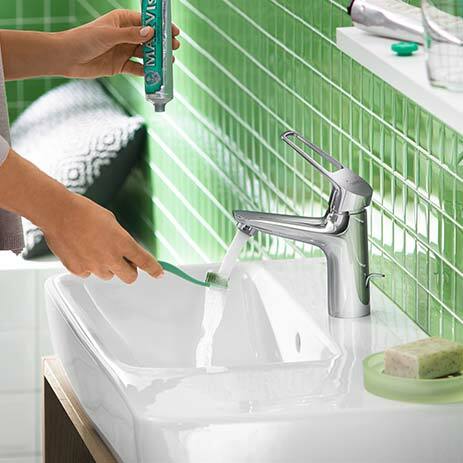 For bidets, hansgrohe offers single lever mixers. Novus also offers a wide range of products for showers and bath tubs: depending on the installation scenario, you can opt for exposed or concealed single lever mixers or 4-hole rim-mounted bath mixers. The Novus mixer range is also available with bow-shaped handles. This design looks even more light-weight and dynamic. The bow-shaped handle makes for simple operation, and with Novus Loop you can also appeal to fans of this tried and tested, modern style. The Novus Loop variant continues the design concept of this new mixer range: Smooth shapes go hand in hand with clean lines, blending into one streamlined, geometric form. Novus features a dynamic handle and spout, in a design that will blend seamlessly into any modern bathroom. The new Novus Loop with bow-shaped handle is available for all applications. Show your customer the Novus Loop, featuring simple operation in a modern design. Choose from two ComfortZone heights in 70 and 100 mm. Bath mixers and shower mixers are available for exposed and concealed installation, along with a bidet mixer with bow-shaped handle. 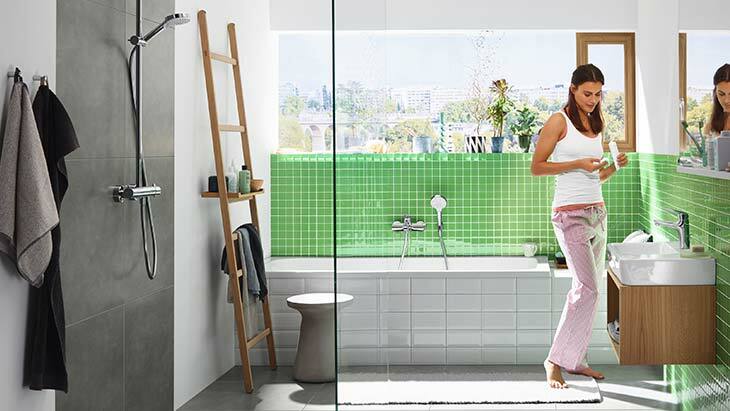 Use Novus and Novus Loop to introduce your customer to innovative ideas that will guarantee lasting enjoyment of hansgrohe products: these include the energy and water-saving functions CoolStart and EcoSmart. This undiminished enjoyment of water is also supported by AirPower technology, which guarantees a pleasant spray pattern thanks to the admixture of air. QuickClean guarantees quick cleaning and durability, which are also key sales points within the project business. Show your customer the benefits of the hansgrohe ComfortZone too: find the perfect mixer for every wash basin, guaranteeing user convenience at a height to suit. A selection of Novus products for wash basins and showers is also available for projects within the care sector. 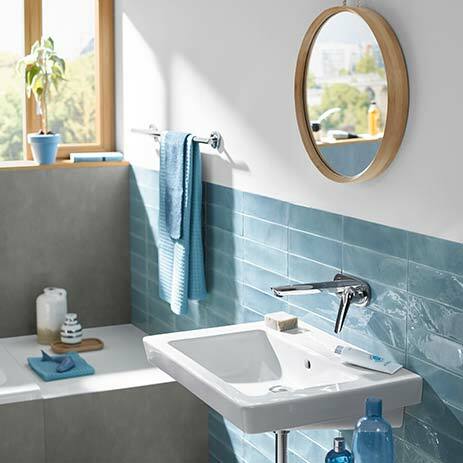 The new hansgrohe range is impressive in this regard too, with solutions that are both functional and perfectly designed, at an attractive price. Check out the new mixer range in videos and in our brochure.